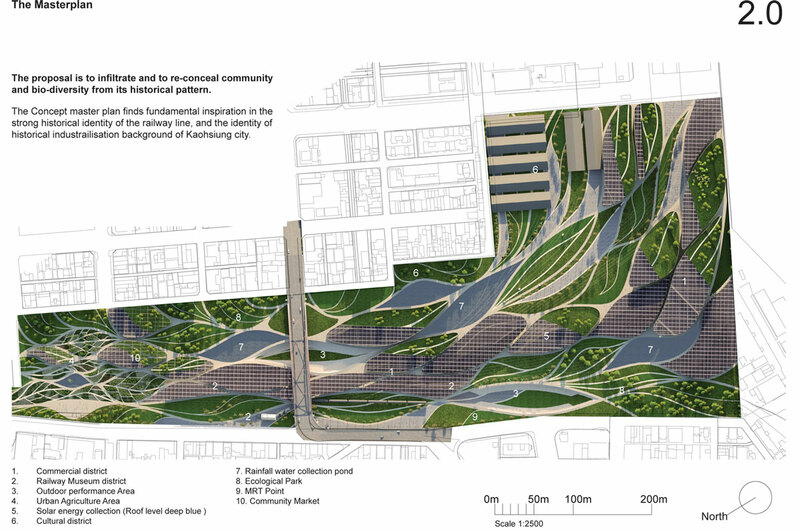 Maxthreads Architectural Design, Edinburgh desiged this proposal for the Kaohsiung Port Station Urban Design competition. 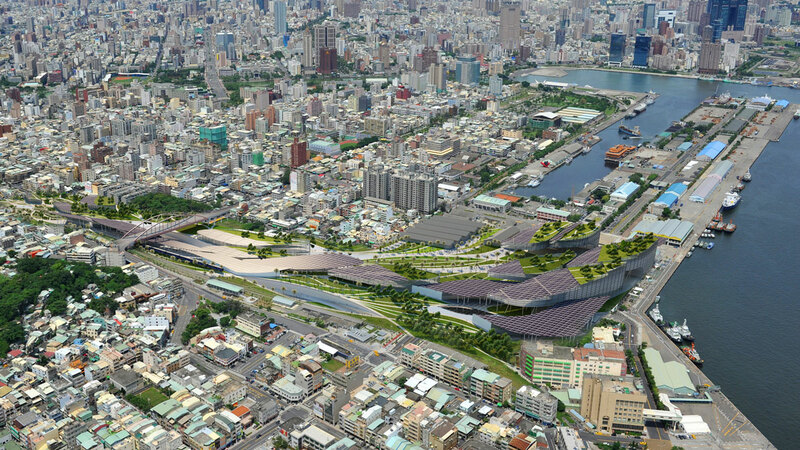 Kaohsiung existing city plan is an infrastructure led gridded planning. And the resulting cohesive network of road system and block green spaces. Kaohsiung port station. The railway site lies on the edge of the Kaohsiung city, alone the Wan shu mountain. Formed an invisible boundary. The proposal is seeking opportunities of historical train track pattern as the starting planning base. 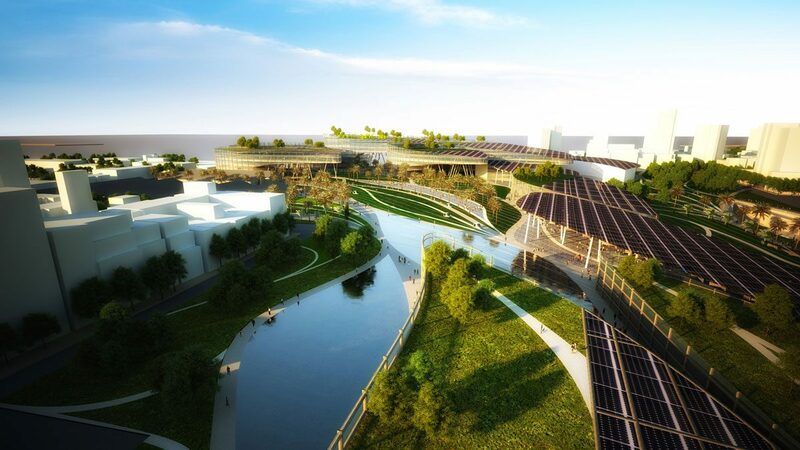 A leaf like spin channels through the site, which gives a distinctive identity of its urban planning system. 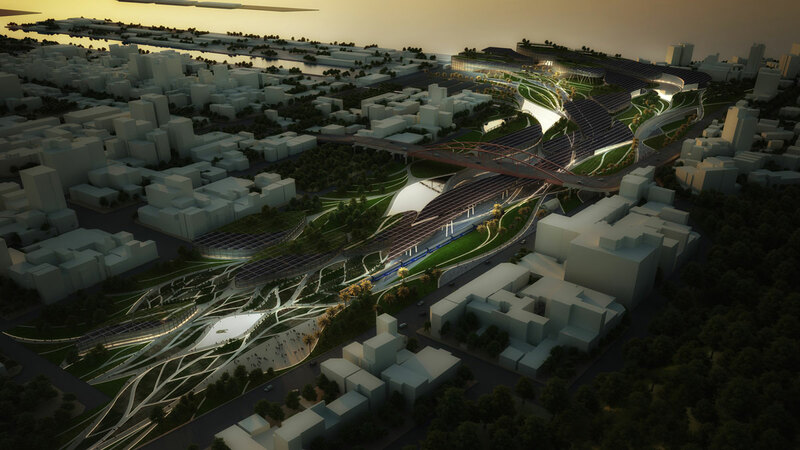 The proposal also exemplifies some essential aspects of sustainable urban planning. 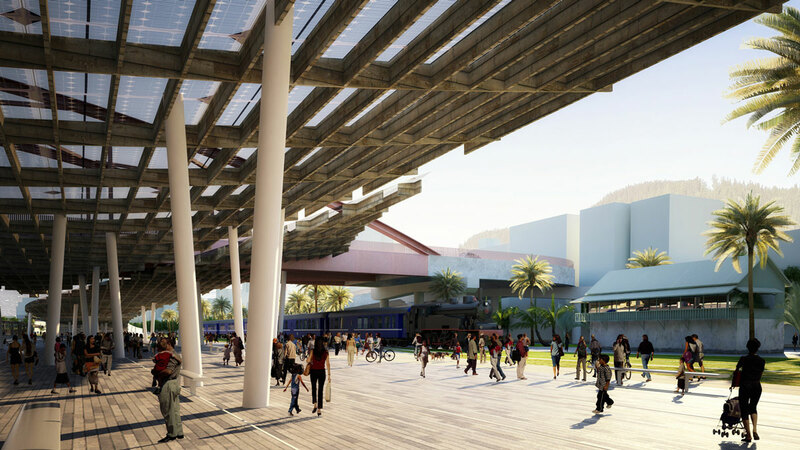 This includes an integrated mix use community that encompasses living, working and leisure within a compact city form and is complemented with a balance of civic and natural spaces. Further, the development is inspired by the culturally and biologically responsive between the new city urban fabric and existing old town Yen Chan district. The guiding principle of the master plan proposal is to inspire a meaningful sense of community and a shared commitment for social and environmental responsibility. The proposal also introduces a series of urban agriculture farming and historically integrated parks. The strategy is to infiltrate and to conceal the community and biological diversity from the nearby Wan Shu mountain. It also reflects the historical transformation of Kaohsiung city from industrial city to a contemporary cityscape.